This is a sponsored post for the incredible Ramsey Solutions team. As always, all opinions are 100% my own. Can I be honest for a moment? It’s kinda strange to me that I now make a full-time income from my blog. It was even more strange to me that while I was attending my financial coach training and someone would ask me what it is that I do for a living, my response was “I’m a personal finance blogger”. I mean, I actually owned that title. I didn’t shy away from telling folks that yes, I am one of the many actually make money doing this, but it wasn’t always that way. And if I’m being really honest, the only way I ended up started to make money was that I had to stop treating my blog like a hobby and start treating it like a business. I started making an actual income with my blog in 2014 but I didn’t really start treating my blog like a business until 2015 when I attended Business Boutique. In fact, it was because of what I walked away with after Business Boutique that I decided that I didn’t just want to be a “blogger”, I wanted to be a personal finance guru – not a frugal living expert. I wanted to coach others down their path towards financial freedom. I started seeing my blog as an asset of my business and not my business itself. And it’s from that that I’ve actually started making money and enjoying making money with my blog. So what’s the biggest thing that I’ve learned from earning an income blogging? We all have a story to share. I know sometimes it can feel like there’s nothing exciting about our lives – like we’d never make a good reality TV show because we’re “boring” but guess what? You’re not boring. You have a story. You’ve walked through something. You’ve made a mess that you’ve had to clean up. And chances are, when it comes to blogging you’re blogging for a reason. There’s something that you want to share – there’s a reason why you’re doing this. One of my favorite exercises in Christy Wright’s book, Business Boutique is defining your why. The thing is, when you know your why, it’s a whole easier to say “no” to things that don’t fit in with that why. Christy starts off with asking “What have you loved? Finish the sentence: I have always loved….” So, what have you always loved? I always loved to write – not school papers, but journaling, poetry, and fiction stories. I even love writing old-school snail-mail letters to someone. But I’ve also always loved teaching. I dreamed of being a teacher one day and in fact, I helped my high school boyfriend study for the GED and even made up worksheets and everything for him. And I’ve always been a cheerleader at heart. I was never the girl with the pom-poms but I was the girl screaming and going crazy on the sidelines for her team. These are things that I’ve always loved. Things that I love so much I do them without much thought. And chances are, there’s something you love doing and always have loved doing. In fact, defining what you love and why it is that you’re doing what you’re doing is a critical step in creating your business plan. This is probably my favorite part about Christy’s book, the fact that she walks you through step-by-step, setting up a business plan and getting extremely clear on what your goals for your business really are. Like I said, when I make the 3 1/2 hour drive home from Nashville after attending the very first Business Boutique, I knew what my business plan was and knew that I had some major changes to make. I’m a firm believer that my increased income is a direct result of making that plan because I now know what it is that I want my business to achieve. What excites you about it? When you go through these questions above, your why will start to become clear. So, what’s your why? Just like we need to own our stories, we need to own our dreams. The thing is, dreams are beyond our current situation, skills, or abilities. They are bigger and better and that’s exactly why they are worthwhile. They are beyond our daily grind. We have to look up to see them. Did you know that in order to make your dreams a reality you have to actually plan for them? Yeah, I know, crazy thought. But it’s true. Your dreams will never become a reality if you don’t start putting actions in place to make them a reality. For some reason, many of us take the “lottery” approach to our dreams. We love to dream – and dream big – we imagine the “what-ifs” but then turn around and think, “oh that would be nice if it happens” and then go back to our daily lives. But here’s the thing, you don’t win the lottery if you don’t play it and you aren’t going to make your dreams a reality if you don’t actually try to make them a reality. And I get it. Dreams scare the crap out of us. 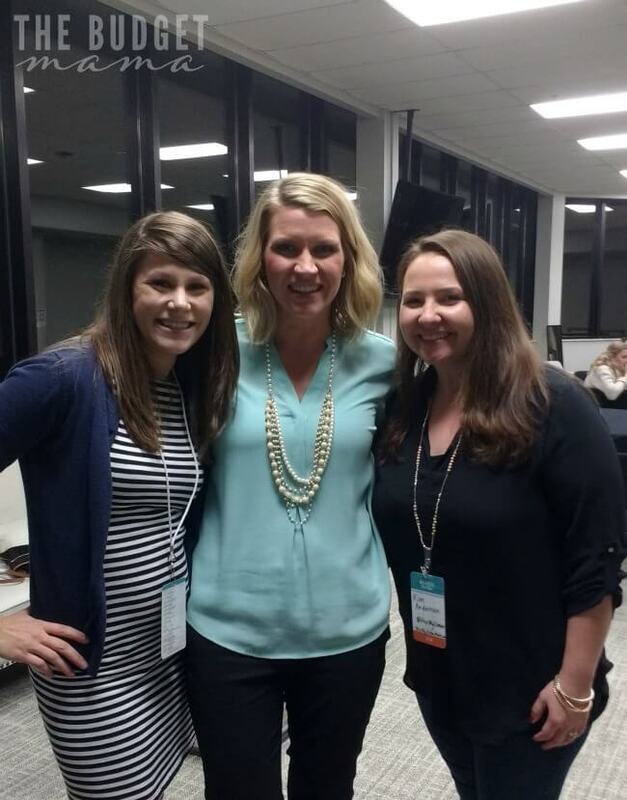 Just a couple of weeks ago I was back in Nashville for my financial coach training. Now, I know that doesn’t probably sound scary to you, but I was dang near hyperventilating while driving north to Tennessee. I was going alone. I was going somewhere where I knew no one. And I mean, I didn’t know a single person attending and that made me incredibly nervous. Honestly, I wanted to turn the car around and just say that I couldn’t do it. I was frightened, but I was called. God had been leading me down this path for awhile and I knew I had to show up. And in the end it was very well-worth going. But if I hadn’t gone, I wouldn’t be any closer to realizing my dream of becoming a real-life financial coach. Dreams don’t just magically come true. They come true when folks are willing and ready to go to work and do scary things. So what is your dream for you blog? 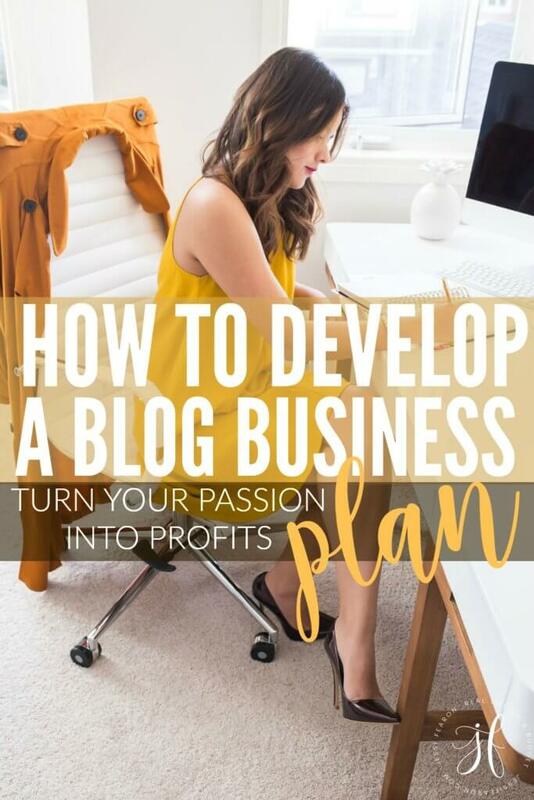 How are you planning to turn your blog into a business? I’m not sure if my blog will ever really be a business, mainly because I’m afraid that might take the fun out of it for me. I’d be satisfied with just earning a small amount of extra income from it, though. I’m going to check out this book.